While transit service and perceptions of such service matter, 21st century light rail construction has occupied a central place in urban economic development and housing policies. In Los Angeles, LRT and subway construction have become central aspects of urban planning strategies in places like Boyle Heights, Hollywood, and Exposition Park. 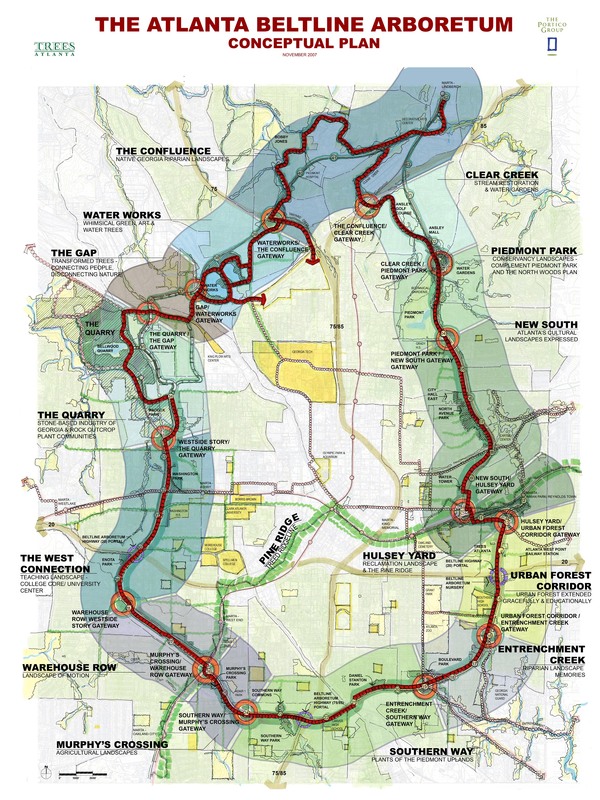 Likewise, in Atlanta, the proposed BeltLine project depends heavily on the construction of light rail as a means to create a 22 mile loop of transit, parks, and bike paths connecting nearly four dozen neighborhoods in the city with the distinct hope of raising property values and increasing tax revenues. Ironically, Atlanta’s construction and financing of its own subway and bus systems in the 1970s inspired Los Angeles to embark on its own journey in the 1980s, yet in 2012 Los Angeles has several LRT lines, an expanding subway, and a successful BRT, including one of the nation’s most used LRT routes, the Blue Line, while Atlanta remains devoid of light rail and its subway receives more attention for what it doesn’t do than what it does. How did such a situation come about? What does it tell us about the two cities and what does it mean for the construction of LRT in the future? By the late 1970s and early 1980s, “Kenneth Hahn had been a fixture of Los Angeles politics” for decades, elected to city council at age 26 and the county board of supervisors at 32, notes dually appointed University of California and University of California Los Angeles transit and legal scholar Ethan Elkind. Hahn remembered a Los Angeles defined as much by an interurban transit system, embodied by the Pacific Electric Red Cars and the Yellow Cars of the Los Angeles Railway, as freeways and automobiles. To be fair, Hahn’s recollection of the Red and Yellow Car lines might have been more than a touch too celebratory. After all, both systems struggled mightily in the mid-1940s and continued to do so before their ultimate demise in 1961. Still, he and others often cited the interurban system when championing the return of mass transit to the city in the 1970s, 80s, and 90s. Though Los Angeles Mayor Tom Bradley advocated for a mass transit system as well, he believed a heavy rail subway would better serve the city’s transportation interests. Unfortunately, attempts to fund rail transit in L.A. during the 1960s and 1970s met with frequent defeat. Tax initiatives aimed at funding construction went down in flames in 1968, 1974, and 1976. As Elkind pointed out in a recent interview, Bradley’s dream of a Los Angeles subway struggled to become a reality as much because of timing as anything else. Bradley believed a San Francisco styled BART or D.C. modeled Metro would link downtown with growing job centers in the region. Though he advocated for rail transit in the 1970s, “not until the 1980s did the politics work for him locally,” but by then the federal government, led by former California Governor Ronald Reagan—a long time transit skeptic—provided less financial support. In essence, noted Elkind, Bradley simply “missed his window.” To be fair, even before Reagan, former Georgia governor Jimmy Carter also began to doubt the efficacy of rail transit, but more on that later. Other mayors and cities did take advantage of the moment. Atlanta, for example, found a measure of success, and many would argue failure, in its attempts to construct its own subway system known as the Metropolitan Atlanta Rapid Transit Authority (MARTA). In 1965, the Georgia General Assembly voted to create MARTA and even approved an amendment that dedicated state monies to 10 percent of the system’s total construction cost. At the time of the legislation’s passage Jimmy Carter was a simple assemblyman but when he ascended to the Governor’s office in 1971, he would eventually renege on this commitment. Nonetheless, initially the state had promised this funding. While pro-rail officials envisioned a rapid rail transit system that connected the city of Atlanta with the surrounding Cobb, Clayton, Colb, DeKalb, Fulton, and Gwinnett counties, by 1971, only DeKalb, Fulton, and Atlanta continued to support MARTA’s construction. Initially, officials had hoped that voters would approve a percentage of property tax revenue to fund MARTA but the electorate rejected that plan in 1968. 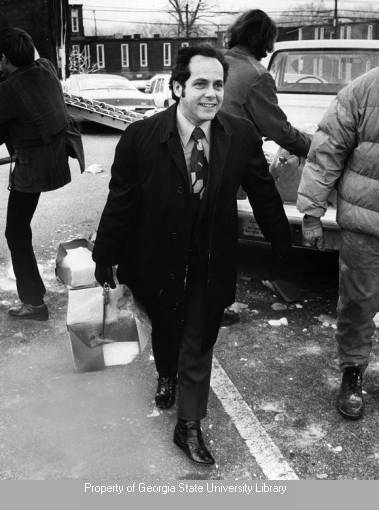 Three years later, the flamboyant mayor, Sam Massell, marshaled a public relations campaign only possible in the New South that rallied support for a local option sales tax to fund the proposed system. Once the Georgia legislature approved the option, Massey literally buried a hatchet on the front lawn as a symbol of his appreciation and later sent a “bevy of young women in pink shorts” to the state capitol with fried chicken, peanuts, and Coca-Cola as a gesture of goodwill toward the reliably anti-Atlanta state assembly for approving the only local option sales tax in Georgia. Voters in Fulton and DeKalb counties and the city of Atlanta approved the initiative. Massell quickly scooped up an existing bus company and promised to lower fares to from $1.30 to $.15, eventually settling on $.30 for a round trip fare. Still, this apparent victory came with a couple caveats. MARTA wouldn’t reach most of Atlanta’s suburbs. 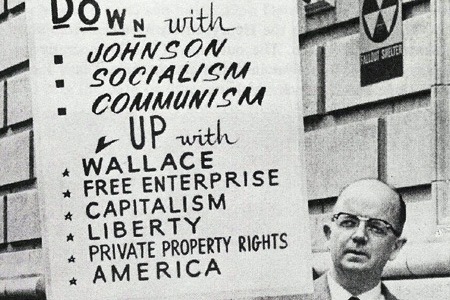 Moreover, arch segregationist Governor Lester Maddox forced Massell to accept an ultimatum. No more than 50 percent of the revenue produced by the approved sales tax could be dedicated to MARTA operating costs, which in practice meant that when the system needed more money to address maintenance and other operation issues, it would have to cut costs elsewhere or increase fares. The $2.50 fare that MARTA sports today stands in part as result of Maddox’s decision. Gov. Maddox: Sideways with public transit! As governor of Georgia, Carter had initially supported MARTA, but he developed a deep skepticism regarding mass transit in an era of automobility that began while in office in Georgia and expanded during his presidency. Why fund rail transit in cities that preferred cars, he wondered. “Many rapid transit systems are grossly over designed,” he wrote in a leaked 1977 memo. “We should insist on off-street parking, one way streets, special bus lanes, and surface rail-bus as preferable to subways. In some urban areas, no construction at all would be required.” Carter and his Secretary of Transportation, Brock Adams, expressed wariness toward rapid transit. If in the late 1960s and early 1970s federal funding had been generous, it grew more miserly in the latter half of the decade and into the 1980s. 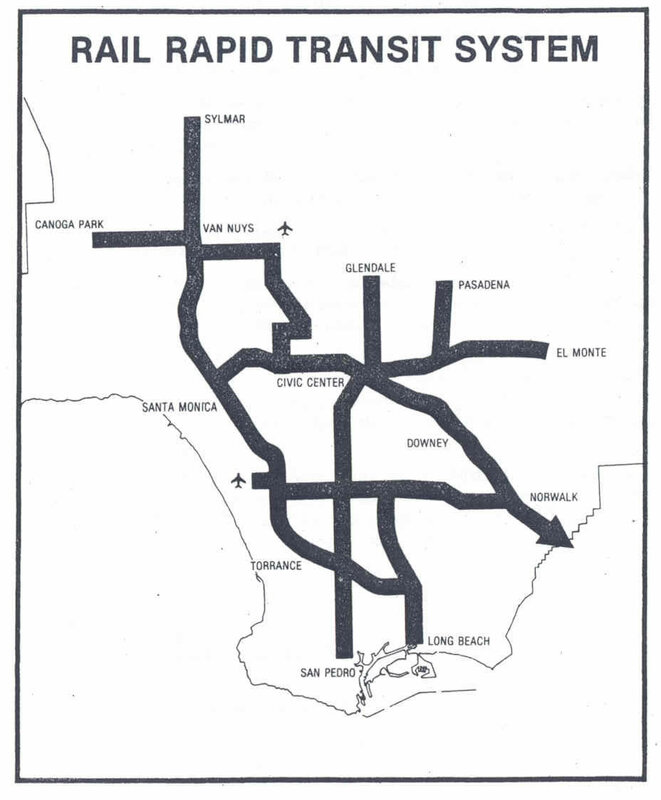 When asked by a 25 year old L.A. bus driver about the environmental impact of so many cars on highways in a 1977 interview for KNXT, Carter responded simply: “You don’t really need the highly expensive subway and rail systems as much as some communities do.” Earlier in the year Adams expressed a similar doubt regarding the idea of a subway along the Wilshire corridor in LA, noting he would have to be “convinc[ed] that rapid transit [would be] feasible” there. Whatever conclusions one draws from MARTA’s beginnings, Carter’s increasing skepticism regarding rapid transit, and the belief of those like Monroe that the inability to stretch into suburban Atlanta permanently limited the system’s effectiveness, the 1971 “Atlanta Plan” proved deeply influential for Los Angeles’s Kenneth Hahn. Granted, the kind of denser development officials hoped to create via MARTA never occurred. In Atlanta, local politics influenced by race and class issues ultimately prevented the necessary zoning changes from being enacted, but Hahn saw opportunity in the 1971 plan, just not for a subway but instead light rail. 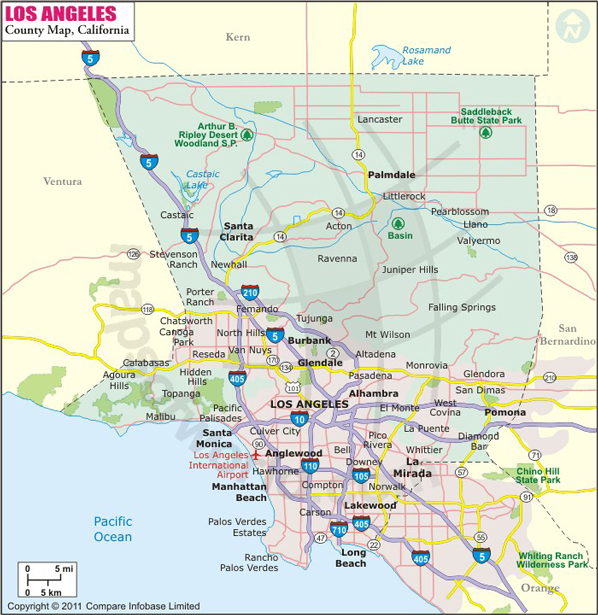 Unlike the Atlanta metropolitan area, which is divided among several counties, Los Angeles County exists as one massive political entity that in the postwar period expanded rapidly. For example, as noted by Michan Andrew Connor, during the 1940s and 1950s, the county grew rapidly. Due to a state charter passed in 1912 giving it “home rule” along with its rapid post World War II suburbanization, Los Angeles County boomed into “an urban government unlike most California counties,” and one could argue most metropolitan areas around the nation. Though the decision by several Atlanta counties to forgo MARTA construction/funding might have been damaging in the long term it still enabled the system to exist, notes Elkind. In Los Angeles however, the entire county, divided between numerous politicians and interests as it might be, had to agree to the plan, otherwise all hope for rail transit would collapse. If Mayor Massell’s chutzpah and solitary dedication to transit delivered MARTA to Atlantans, Supervisor Hahn also single handedly carried water for light rail in Los Angeles. With a measly budget of $36,000, Hahn doggedly pursued his goal even in the face of skepticism. In the wake of tax revolts like Prop 13 and the failure of earlier tax initiatives, many observers believed Prop A would fail, thereby dooming any hope of rail returning to Los Angeles. Though a supporter of rail transit, Mayor Bradley worried that if Prop A failed, it would spell doom for his dream of a subway. As the 1980 election approached, fellow supervisors like Yvonne Burke agreed with Bradley, expressing open doubts about Prop A’s potential. Burke told the Los Angeles Times it had “no chance of winning” and would undermine long term efforts at building mass transit in the region. The tireless politician eventually secured support from the A.F.L.-C.I.O., the Los Angeles League of Women Voters, L.A. Times, the Los Angeles Herald Examiner, the Valley News, KFWB news radio, and even the Los Angeles Taxpayers Association (LATAX). As a group made up of local companies not normally friendly to new taxation, LATAX worried that failure to improve L.A. transit would negatively impact local businesses in the future. Fearing another transit defeat might bury the issue once and for all, Mayor Bradley had withheld his support for Prop A, but with the flood of endorsements he came around. “Proposition A is an innovative approach to our public transportation problems,” he conceded. After the election, time came to select a route. Connecting downtown Los Angeles to its Long Beach counterpart, Hahn fought for a route than ran along the old P.E. line. Though hardly as flamboyant as Massell, Hahn did utilize every public relations opportunity at his fingertips. Soon after the 1980 election, he took a KNBC television reporter on an aerial tour, via the Goodyear blimp, of the old Red Car right of way and its still existing tracks. The old Red line route, he pointed out, promised to be the fastest, most economical, and most effective choice. Westside politicians argued for a Wilshire route and others like the NAACP believed the Vermont corridor would be a better option. However, both were predicated on the heavier, more expensive, and less politically viable subway. In the end, Hahn’s vision prevailed, even surviving a Prop 13-related court challenge. Still, the Blue Line would take ten years to come into existence and come in at over $227 million more than estimated at the time of its groundbreaking in 1985. The Blue Line opened in July of 1990 and sparked a wave of nostalgia for the P.E. line and light rail construction throughout the county. The RTD even produced a promotional video for its debut featuring the Teenage Mutant Ninja Turtles (a goofy live action version, mind you) as they battled the black caped villain Gridlock, who sought to erase any public knowledge of the new rail transit. By 2012, though suffering from a back log of maintenance issues that resulted in cancellations and delays, the Blue Line had become one of the most used light rails in the nation, ferrying 26 million riders annually and serving some of the most transportation-starved communities, including Compton and South Central Los Angeles. Yet in the intervening years, light rail and those who it benefited fell under greater scrutiny. Over the past few years, working class residents like those in the Exposition Park neighborhood near USC have opposed increased light rail in their communities out of fear of gentrification, overcrowding, and crime. 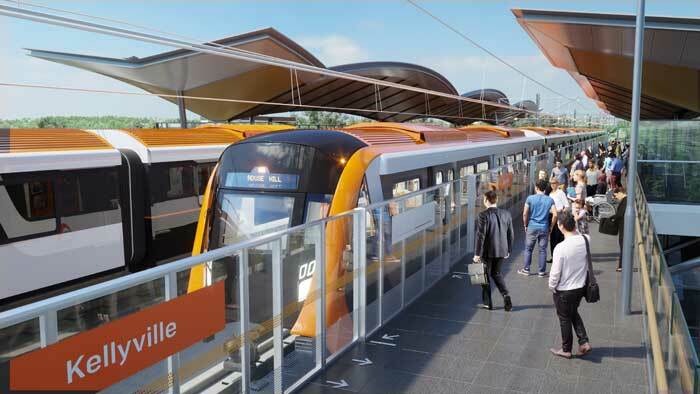 If once seen as a means to connect working class communities to employment and leisure, some now view light rail as a sop to landlords and unscrupulous developers. “We could see the writing on the wall. With the Expo Line in the works, it was clear affordable housing was at tremendous risk,” pointed out Sandra McNeill, executive director of the community advocacy group TRUST South L.A,. Developers, McNeill and others argue, want to replace affordable housing with more expensive units aimed at college students and young professionals. However, local homeowners, largely working class and middle income residents, believe that adding low income and affordable housing will only burden a community already struggling with overcrowded schools and overwhelmed public resources, while contributing to rising crime rates. The neighborhood does not need hundreds of new renters, noted homeowner and housekeeper Rocio Guerro. “The police can barely keep up as it is.” A member of the Walton Avenue Neighbors (WAN), a group of local homeowners and residents opposed to the TRUST redevelopment of the 48-unit Rolland Curtis Gardens public housing project, Guerro reflects one of the new dynamics of light rail debates: opposition from working class homeowners squeezed by L.A.’s rising housing market and fearful that rail extensions will undermine their communities. Instead, WAN has requested the city council reject TRUST’s attempts to build affordable housing, asking the units instead be aimed at market-priced development. For Guerro and WAN, gentrification proves a better risk than schools besieged by lower income residents. Still, as some experts like Elkind have noted, little space in L.A. remains and the only option is to build up, not out. The city “fundamentally needs new affordable housing and it needs to be built near transit stops,” he noted in an interview. Measures should be taken to reduce evictions but communities cannot remain fossilized or dipped in “formaldehyde.” Rolf Pendall, director of the Metropolitan Housing and Community Policy Center in Washington, D.C. argues that L.A.’s development policy will lead to a sort of concentric outgrowth that promises to benefit all residents while also providing a space for affordable housing. Others, like UCLA economist Michael Lens, agree transit oriented development will be a net gain, but that the tendency to concentrate affordable housing in minority and working class communities only exacerbates L.A.’s segregated landscape. The extension of the Gold Line light rail in Boyle Heights further demonstrates this complexity. 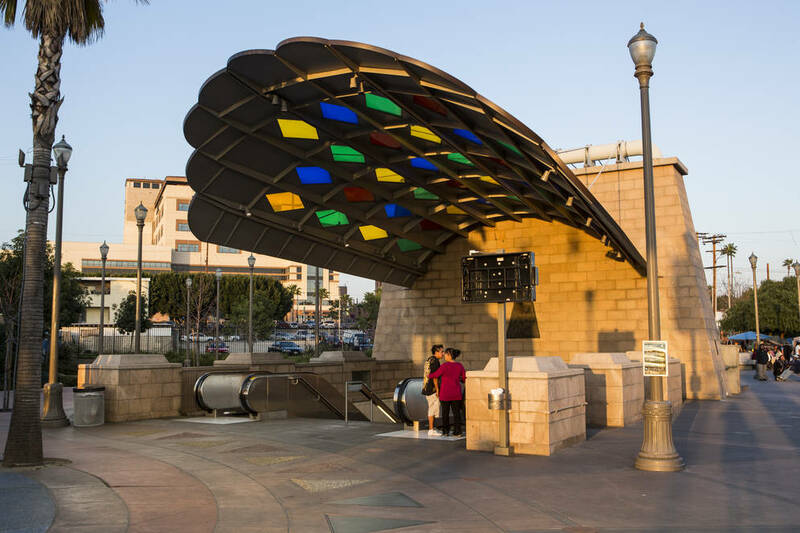 Completed in 2009, the Mariachi Plaza station has become a valued part of the local Latino community, urban planner James Rojas noted. Yet, while the station sparked economic growth, it has also brought more ominous changes. “No longer a community node for working class residents, it is transforming to a boutique Latino place with restaurants, bars, and art spaces,” Rojas wrote this January. “A farmers market and other activities are programmed for the Plaza. Because of Boyle Heights’ proximity to downtown, freeways, and light rail, middle class Latinos are moving back into their childhood hood, as well as non-Latino hipsters which are pushing up home prices and rents.” That said, the Mariachi Plaza station benefits from the years of personal touches by local Latino residents, referred to as rasquache urbanism, that differentiate it from other stations in the LRT system that depend more on rote formulas for housing and the introduction of national chain businesses. The story of Mariachi Plaza remains in flux, but it offers a useful example when considering Expo Park and other controversial sites for LRT expansion. In the end, the BRU scored a court victory by securing a “consent decree” that forced reforms on the MTA that resulted in a fare reduction that saved riders $25 million annually, reduced crowding on buses, and led the city to purchase over 200 compressed natural gas buses. Still, the consent decree eventually lifted and some believed the BRU’s fight only brought the MTA greater financial strain and failed to increase bus ridership in any way. It did, however, force the agency to think creatively and come up with better transit options, such as the 14-mile San Fernando Valley Orange Line, a rapid transit bus which, as noted in the previously mentioned CityLab article, is viewed as an unquestioned success and cost far less than light rail to construct. Ironically, while the Atlanta system served as inspiration for LA’s rail transit explosion, the city itself appeared less enamored with the idea and the debate over the 2012 referendum to pay for a new light rail system demonstrates the complex dynamics seen in Los Angeles. The movement for a light rail emerged around 2000, when a group known as Friends of the BeltLine began advocating for an “ambitious plan to build a ring of parks, bike paths, and … light rail around the city’s neighborhoods,” ToM’s Alex Sayf Cummings notes in the forthcoming anthology City by City. Much as the Blue Line followed the defunct tracks and old right-of-ways established by the P.E., Atlanta’s light rail would follow older, out-of-use rail lines. The proposed BeltLine would stretch for 22 miles through historic Atlanta, circling the city and directly connecting 45 neighborhoods. What did they say the road to hell was paved with? Then-Mayor Shirley Franklin embraced the idea, setting up studies to look at the various options available to the city and courting possible investors for a public private partnership. Soon after bankers, developers, and federal authorities expressed support and funding would flow from “a patchwork” of federal expenditures, municipal investment, personal donations, volunteerism, and private corporate businesses and organizations such as Bank of America. Outside observers like Salon’s Will Doing proclaimed it “one of the ‘country’s most ambitious smart growth projects.’” During its decade-long gestation period, few critics raised objections, but once officials slated a tax initiative to pay for its construction to appear on a July 2012 ballot, a political ruckus broke out that demonstrated the dizzying complexity of building rail transit in 21st century urban America. Much as initiatives in 1970s Atlanta and 1980s Los Angeles had done, advocates proposed a one-cent sales tax aimed at raising $8 billion for the Transportation Investment Act (TIA) over a ten year period. The TIA amounted to “a grab bag of transit projects that included hundreds of millions of dollars to build light rail along the BeltLine,” writes Cummings. The resistance of suburbanites might seem par for the course, much as in Los Angeles’s Exposition park, while the Atlanta Public Sector Alliance, a group that advocates for working-class and minority communities, also challenged the idea of new light rail in ways that recalled the arguments put forth by the BRU,. The BeltLine was little more than subterfuge for larger plans to privatize MARTA at the expense of working class Atlantans, it argued. Traditional black working class neighborhoods like the Old Fourth Ward and Reynoldstown decried the inevitable gentrification that would follow. Organizations like Atlanta Indymedia concurred, asserting the BeltLine would displace African American households from a city they had long claimed as their own. Whites would move in, add some crown molding and godforsaken “open floor plans” to local housing stock, thereby raising property values and gradually forcing out long time residents as property taxes and rents climbed. To the credit the BeltLines more left wing critics, one can look at the LRT examples such as Mariachi Station noted above or even to East Coast counterparts like D.C.’s historically black and working class Shaw community. Though black leaders in the city had advocated for adding a Metro stop to the U Street corridor, what followed was not what they had intended. The completion of the U Street station set off a wave of gentrification that continues to drive out long-time African American residents. As one notable advocate and respected black leader admitted: “I always said that it would be double edged, a mixed blessing … We’d get out there, but they’d get a chance to get in here. I don’t know if we can fight economic forces. Those economic forces are power, now. They are very powerful.” Granted, the D.C. Metro is a heavy rail subway rather than an LRT, but the point remains that building rail transit brings with it complex results. Then again, as Cummings points out, gentrification concerns regarding development are hardly reserved for transit projects. Most projects aimed at spiffing up urban communities carry this threat. 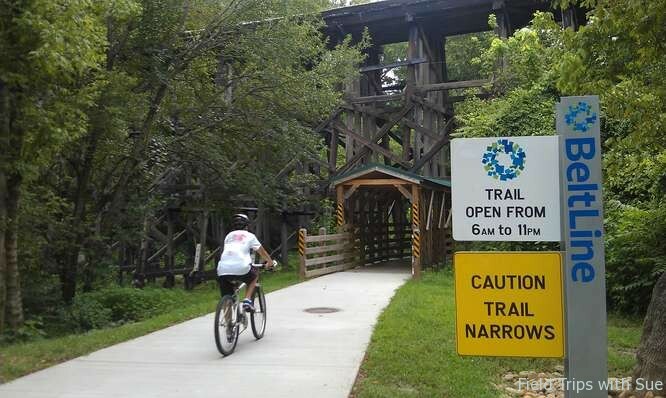 However in Atlanta, the BeltLine intersected with public education. Many opponents argued prospective white homeowners had already begun altering the educational landscape by endorsing the charter school movement. Light rail and the larger BeltLine project promised to accelerate this process, thereby “pilfering funding and priorities” away from an already troubled school system by redirecting property taxes and “in essence, making poor people of color pay for the amenities enjoyed by white home buyers,” who choose to patronize the charter school movement. But how would this happen? The BeltLine scheme would be funded by what is known as a tax allocation district (TAD) which is similar in some ways to another controversial urban public financing structure known as a tax increment funding (TIF – see the bottom third of this article about Chicago for more info on TIF financing – Here ). Under TAD, a portion of property tax revenues – the very funding mechanism for most cities’ school systems – would be diverted to transit and infrastructure. Estimates by experts like Georgia Tech’s Catherine Ross suggest that over a 25 year period a total of about $1.7 billion would be produced. Proponents argue that the BeltLine would increase the city’s tax base by $20 billion during the same time frame, hence also increasing school spending. Still, it is not hard to understand why many would bristle at this proposal. The $1.7 billion shaved off of public school funding seems far more likely to be accurate when compared with estimates regarding what the BeltLine might do over 25 years in terms of tax revenues or, as critics point out, the plan “mortgages current development on fantasies of future growth.” In addition, TAD’s stated goal is to raise property values, the third rail, pun intended, of gentrification arguments. When the vote finally took place, Cummings and others witnessed some strange bedfellows. The local NAACP and Sierra Club joined with the Tea Party to reject the measure. While there was no BRU to assert light rail was inherently racist, opponents clearly framed the debate with race and class in mind. Granted, in both the recent Exposition Park and Atlanta BeltLine debates, light rail operated as a catalyst for the problem rather than the problem itself. Yet, it demonstrates how difficult building rail infrastructure in hopes of improving transit, bringing economic growth, and reducing pollution for urban areas has become. In our discussion of Los Angeles rail transit, Elkind highlighted these difficulties. In the case of L.A., the movement for rail transit started later than systems in D.C., San Francisco, and yes, even Atlanta, all of which built heavy rail subway lines before their Southern California counterpart had laid a track of subway or light rail. Though clearly if we use the Blue Line’s 1990 debut as our measure, L.A. beat its New South counterpart to light rail by over 25 years. Still for the most part, Angeleno officials missed the window for strong federal support so there was “no longer enough money to build a comprehensive system,” hence the project began with less economic backing and political clout. In addition, when the county did start construction local opposition found “more legal tools at their disposal,” forcing route alterations. “It would be hard to imagine BART being built now with its current alignment,” Elkind reflected. In 2015, communities would prevent it. For example, in Berkeley residents and officials didn’t want tracks elevated but rather than have the city pay, BART made Berkeley find the money to build the tracks underground. While Berkeley successfully enacted a bond to accomplish this task, though it still resulted in a 2 and half year delay that cost upwards of 18 million dollars. The station finally opened in January of 1973. Nonetheless, today homeowners and the city would sue and force BART to pay for it rather than absorbing the cost themselves. In Atlanta, the ghosts of development past continue to haunt its present. As Cummings rightly points out the BeltLine can not be blamed for homelessness or the “insane American system of property taxation that makes safe neighborhood with access to grocery stores, decent schools, and other ‘amenities’ inaccessible to many of the urban poor and working class.” Nor did it create gentrification—that process has been unfolding in Atlanta for nearly two decades now. Yet, opponents are surely not wrong to draw upon past experiences when hearing visions of the future and promises of equity. “Atlanta’s regional politics have long been starkly divided between the liberal black city and the conservative white suburbs, meaning that the ugliest clichés about urban pathology and suburban virtue remain a familiar part of the debate …” writes the GSU urban historian. With greater legal tools at their disposal—the kind deployed by white suburbanites in the past—it seems only natural that Atlantans of all races and ethnicities, particularly those victimized historically, would now react negatively. So the question remains, how does one improve public transit, raise property values (which by extension increases revenue for urban schools), and lower pollution levels, without engendering wide scale opposition? Can we improve the flow of cities while keeping people and fair housing in mind—two factors ignored by planners and officials in the mid and late twentieth century—or did our freeway love, whether driven by the aesthetics of automobility or the racial hatred embedded in segregation, doom us to permanent gridlock and unending road construction? In both the case of the Blue Line and the construction of MARTA, charismatic, dedicated, and ultimately trusted political leaders fought hard for each and delivered. Could it be that simple, or have the ground rules changed so much that not even a Kenneth Hahn or Sam Massell deliver the goods today? In Atlanta at least, a coalition of “planners, hipsters, and other yuppies” haven’t gotten the job done. Perhaps, this time Atlanta should examine how L.A. and Kenneth Hahn managed to constructed a constituency large enough to build the light rail he dreamed of, which brought improvements to Compton and South Central, enabled suburbanites to travel between the region’s two biggest employment centers, and catalyzed award-winning transit-oriented urban development all around the county. In the 1970s, Hahn looked to the Southeast, perhaps Atlanta needs to look to the West. 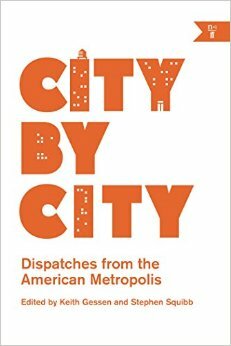 You can read more about history and social struggle in cities ranging from San Diego to Greensboro to Milwaukee in the forthcoming City by City, which includes an essay on the BeltLine adapted from a 2012 ToM post. Ethan Elkind, Railtown: The Fight for the Los Angeles Metro Rail and the Future of the City, (Los Angeles: University of California Press, 2014), 34. Ethan Elkind, Interview with the author, February 5, 2015. Doug Monroe, “When it all went wrong,” Atlanta Magazine, August 1, 2012, http://www.atlantamagazine.com/great-reads/marta-tsplost-transportation/. Eric Avila, The Folklore of the Freeway: Race and Revolt in the Modernist City, (Minneapolis: University of Minnesota Press, 2014), 8. Michan Andrew Connor, “’Public Benefits from Public Choice’: Producing Decentralization in Metropolitan Los Angeles, 1954 – 1973,” Journal of Urban History, 39: 84. Elkind, Interview with author, February 5, 2015. Elkind, Railtown, 109 wn 112. James Rojas, “Looking for the Rasquache at Mariachi Plaza in Boyle Heights,” KCET Departures, January 29, 2015, http://www.kcet.org/socal/departures/columns/neighborhood-notes/looking-for-the-rasquache-at-mariachi-plaza.html. George Lipsitz, “Learning from Los Angeles: Another One Rides the Bus,” American Quarterly, 56.3 (September 2004), pg. 524. Lipsitz, “Learning from Los Angeles: Another One Rides the Bus,” 525. Elkind, Interview with author, February 5, 2015; Elkind, Railtown, 163-164. Cummings, “Atlanta’s BeltLine Meets the Voters,” 279. Cummings, “Atlanta’s BeltLine Meets the Voters,” 280. Cummings, “Atlanta’s BeltLine Meets the Voters,” 281. Cummings, “Atlanta’s BeltLine Meets the Voters,” 282. Cummings, “Atlanta’s BeltLine Meets the Voters,” 284. Pingback: WorkSmith • Uptown Bus or Upscale Ride?